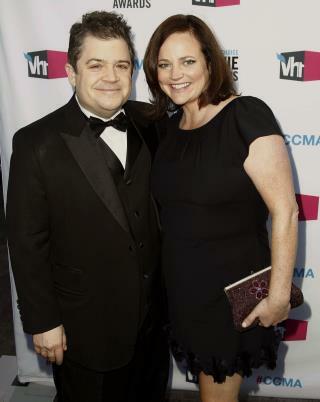 (Newser) – Michelle McNamara's posthumous memoir was released Tuesday, and in it, Patton Oswalt's late wife reveals her struggle with the baby blues after the couple's daughter, Alice, was born. "I was inconsolable for the first two weeks," she writes, recalling that Oswalt told friends she was struggling with "postpartum depression," Radar reports. But "it wasn’t new-mom blues," she writes. "It was old-mom blues. Holding my newborn daughter, I got it. I got the love that guts you, the sense of responsibility that narrows the world to a pair of needy eyes. At 39, I understood my mother’s love for me for the first time"—and her own mother had passed away two years prior. How many years has this woman's obituary been running now? oswalt is a major commie libtard. I really hope her new book helps breathe life into the EAR/ONS investigation. Considering the number of rapes followed by the murders (and the ransackings if he IS the Vansalia Ransacker), I'm surprised the case isn't more well known. At any rate, he has gotten away with all of it for far too long.